Puerto Rico is in the middle of an incredible crisis thanks to the unspeakable destruction Hurricane Maria wrought. Aside from the physical toll and damage to buildings and infrastructure, one of the biggest impacts the storm had was on the US territory’s electric power grid, and a new series of images shot by NASA reveals the extent of the outage. 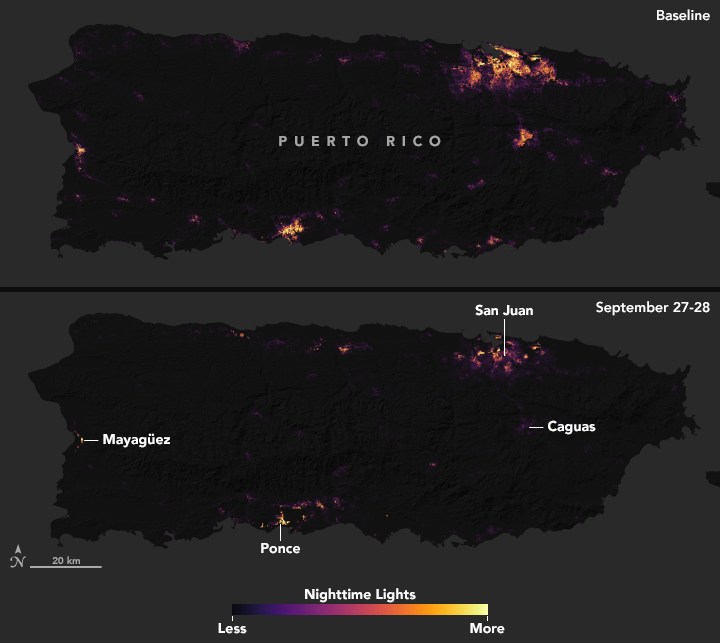 The nighttime images, which are a comparison between a pre-hurricane baseline and photos of the island and similar photos snapped between September 27th and 28th, reveal how efficiently the storm managed to cut off power to huge areas of Puerto Rico. There’s no area of the island that wasn’t dramatically affected, and many areas which are typically brightly lit are simply pitch black in the aftermath of Maria. 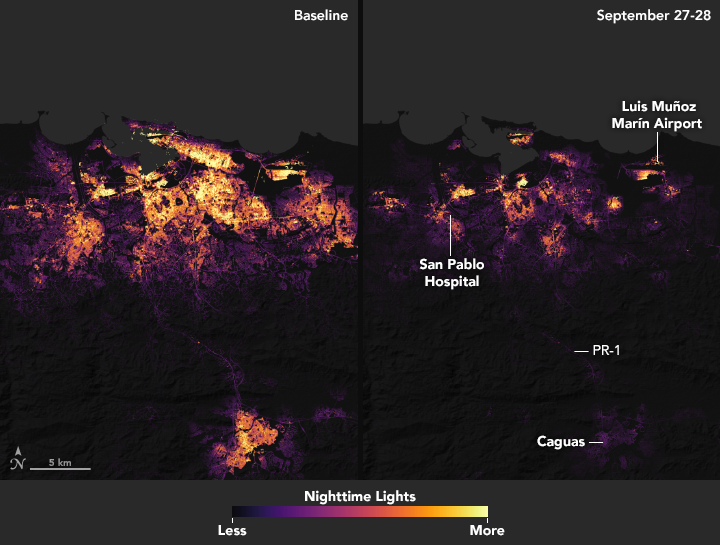 NASA didn’t shoot the images just to bring us the jaw-dropping reality of Puerto Rico’s dire situation, but also to serve as tools to be used by emergency responders who may be searching for areas in need of vital relief. The imagery is useful for the search and rescue of individuals who may still be cut off from any communication with the rest of the island, and has been distributed to the National Guard and FEMA.